Departure point, the boat turns around and off we went..
Our Danube River cruise was one of the coolest things we did on this Budapest trip. We had visited the city about four months ago and were only there for 4 nights which were just not enough time to enjoy this beautiful city. We ended up going back for 10 lovely days. 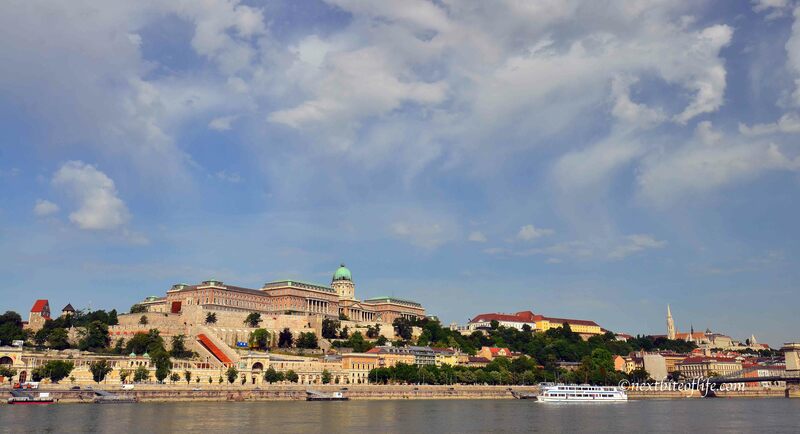 On our list of things to do was take this three-hour Danube River cruise. It took us from the city to the little village of Nagymaros, located on the Pest side of Budapest. 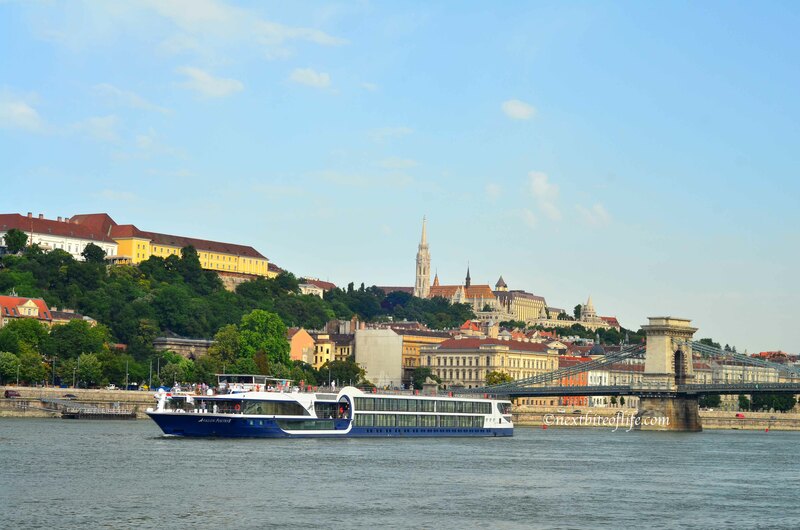 We went with the Mahart Passnave Danube River Cruise Sightseeing Company. They offer a series of cruises across the Danube as well as have a permanent docked restaurant, which seemed to be packed most nights, so l assume the food is pretty good. We got there early so we could claim seats on the upper deck. This gives you unobstructed views across the river. The poor folks who were late ended up on the bottom, where they were “glassed” in. Nothing worse than trying to take pictures through windows. You end up with a lot of glare on the images.